She’s finally here! Kaitlyn Jaeun Park arrived on Sunday, June 14th at 4:17 pm. She weighed 5 lb & 14 oz. Kaitlyn & Dr. Kim are both doing great. Dr. Kim’s husband, Sung, is still recovering…. (Dr. Davis can certainly relate!) What a beautiful baby! 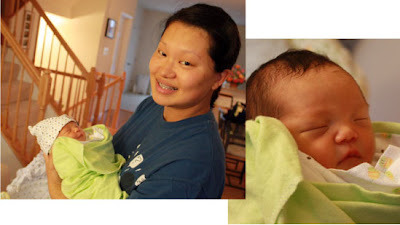 This entry was posted in Dr. Jennifer Kim, Kaitlyn Jaeun Park on June 18, 2009 by yourfriends.